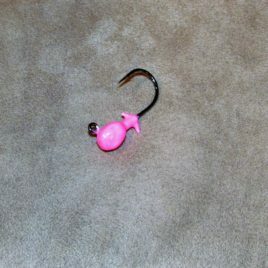 Out of the Blue Fishing Tackle Company Walleye jigs are custom painted with unique and fun designs for you to choose from. 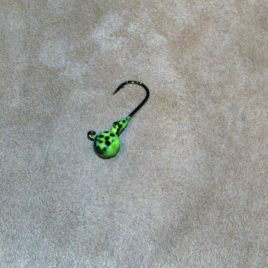 Each jig is hand-brush painted with at least six coats of paint. 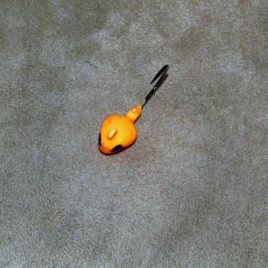 A combination of plastic paints, enamel paints and polishes are used, and all are sealed with a gloss clear coat. 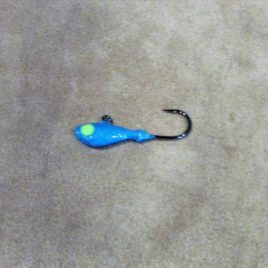 Many of the Out of the Blue Walleye jigs are painted on lead blanks with a 60 degree angle on the eye of the hook to get that live bait up off the bottom as you drift or troll. 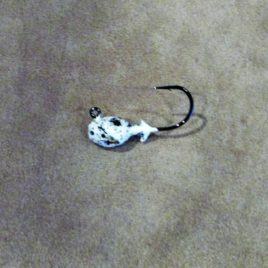 Super sharp hooks on or jigs, will help get a solid hook set on a bite. 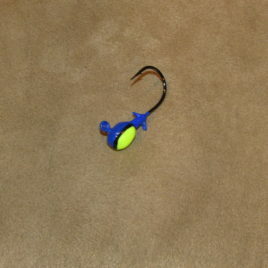 Many of our jigs come packaged with a red stinger hook that can be used when walleyes are tentative, or you are missing the “short-bite”, as we call it. 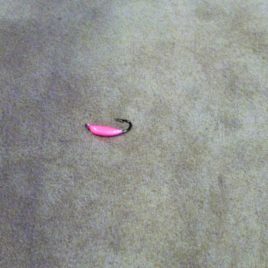 Good luck fishing! 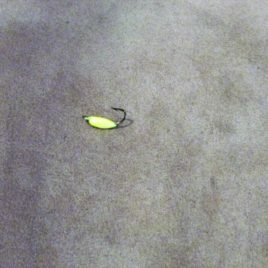 View cart ““Banana Yellow Glow” Ice Jig 3 pack 1/32” has been added to your cart.